If you use Windows 7 and want to dual-boot Ubuntu (or another Linux-based operating system), you’ll want to be able to read Ubuntu files from Windows 7 or Windows Server 2008 R2. The latest Ubuntu Karmic Koala 9.10 uses ext4 filesystem by default, and previous versions use ext3 and ext2 filesystems. There are several good options to read and write ext2 filesystems from Windows systems, but ext3 or ext4 support is an entirely different scenario. I tried three different software to read my ext4 partition: Ext2fsd, Ext2IFS, and DiskInternal Linux Reader. Ext2IFS fails to mount my ext4 partition due to unknown feature bit AND because my partition has inode size of 256 (Ext2IFS only supports inode size 128). DiskInternal Linux Reader apparently tries to scan my harddisk forever. When creating the ext4 filesystem, make sure to add “-O ^extent” which means disabling the “extent” feature bit. I’m not sure if the following steps will work if your ext4 filesystem still has “extent” feature enabled. ext2 and ext3 partitions should be fine. Right-click the downloaded file and click Properties. 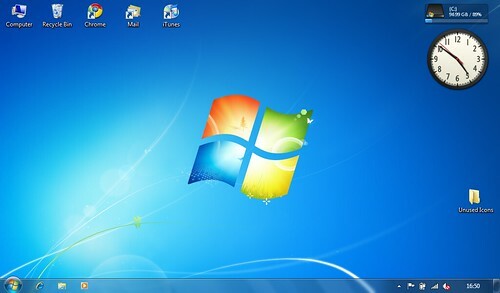 Set the compatibility mode to “Windows Vista Service Pack 2″ and check “Run as administrator”. Run the ext2fsd installer. During install, I recommend you uncheck the “enable write access” feature to safeguard against losing data in your Linux partitions. Run the Ext2 Volume Manager from Start Menu. Now you should be able to mount your Linux ext2/ext3/ext4 partitions from Windows 7 and read the files without any trouble. These steps should also work on Windows Vista, Windows Server 2008, Windows Server 2003, and Windows XP, only that you will not need to enable compatibility mode (step 3). I would like to know how to do the same from windows7 to access an encrypted ext4 linux-home partition.